Handy portable storage in a stylish swivel design. Kingston’s DataTraveler® 101 Generation 2 (G2) is a convenient storage companion that lets you take all of your data to your home, office, school and anywhere you travel. 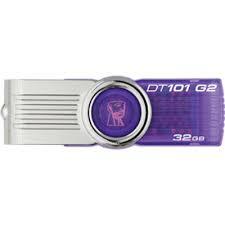 Sleek, practical and attractively designed, the affordable DataTraveler 101 G2 serves the needs of the budget-conscious user as well as those looking for significant storage capacity in a lightweight, compact drive. It features a capless, swivel design for added functionality and ease of use and is available in multiple colors by capacity. 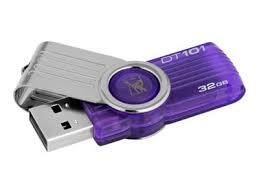 Ideal for anyone on the go, DataTraveler 101 G2 is also a great promotional item for businesses; your company logo can appear on it to increase your brand recognition1 . 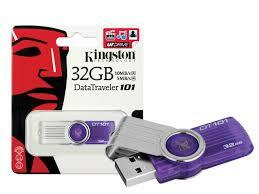 DataTraveler 101 G2 is backed by legendary Kingston® reliability plus a five-year warranty.